By now you've surely heard of the horrific accident on the Hudson River that injured four people and left one of the injured boater's bride-to-be and best man dead, just two weeks before the wedding. All along, it has been reported that both alcohol and hard-to-see construction barges may have been factors in the collision. The boat's operator was arrested, and according to several news reports, investigators say he was under the influence of alcohol during the crash. Questions remain about whether the construction barges were lit clearly enough to avoid such a catastrophe. But one thing was clear from an article published today on ynn.com. Autopsies of both crash victims reveal that the cause of both of their deaths was drowning. Neither of them (in fact, none of the boat's passengers) were wearing life jackets. Is it possible that if the boaters were wearing life jackets that this story could have had a less tragic ending? In another incident, related only because of a similar, potentially avoidable, outcome, a 70 year old man fell out of his boat and drowned in a canal in Whiteville, North Carolina. This just happened yesterday. Apparently, he was fishing and capsized the small boat when he stood up to get a look at some birds. (Full story from wcnc.com.) Would a life jacket have changed the outcome? 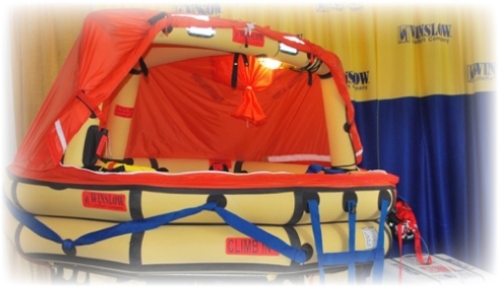 A lifeboat on display at the Norwalk Boat Show. Photo © Nautical Sites Media. Lifeboats are a remarkably useful bit of gear. 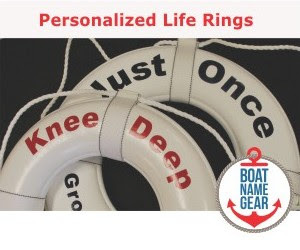 They are designed with the express purpose of rescuing you from a spot of trouble and potentially saving your life. However, this does not mean they can’t be involved in accidents themselves. This is, of course, to be expected – accidents do happen, in all walks of life – but there is a certain amount of irony involved when a lifeboat gets into a scrape. Fortunately, the majority of accidents which involve lifeboats happen during drills, which means that fatalities are less likely, though they do still occur from time to time. This article is going to discuss the main causes of accidents, and what you can do to avoid them. 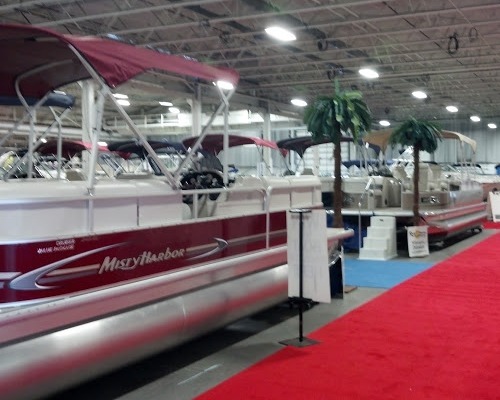 There were plenty of pontoon boats on display at boat shows this year. 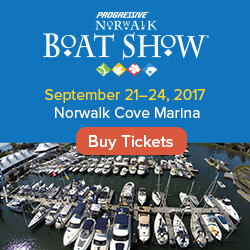 Between the Daily Boater and FirstBoat.com, we offer plenty of tips for new boaters and advice about buying your first boat. Since we are so immersed in the topic, it was refreshing to see a mainstream media publication like USA Today take up the subject matter yesterday. 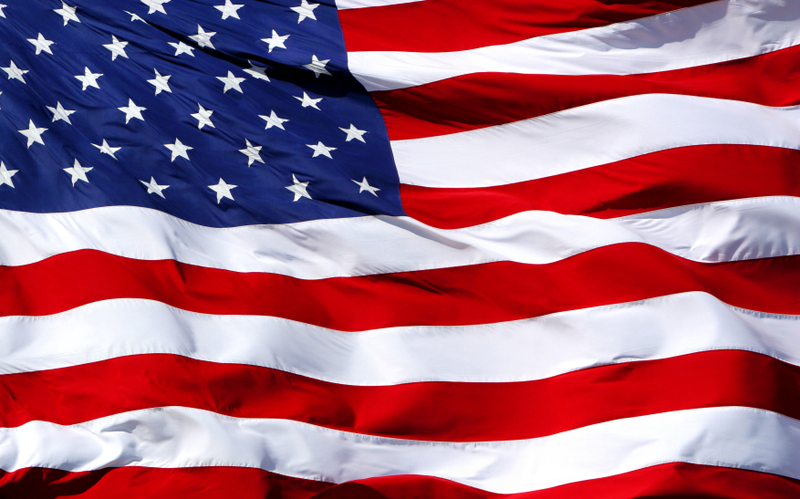 Happy Independence Day to boaters across the United States! 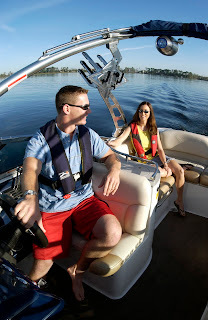 We'd like to wish a safe and happy Independence Day to boaters across the USA! Please remember that this is one of the busiest weekends on the water all year. With more people and boats on the water than usual, as well as with all the festivities, it is important to be extra careful while operating your vessel. Be safe, have fun, and happy 4th of July! Sort of sounds like a song, doesn't it? Well, it's not a tune that boaters want to hear. While droughts have been an issue on many rivers and lakes recently, interrupting pleasure boating as well as commercial activity, now, in some parts of the country, the opposite is causing problems. The upper Mississippi River is at near flood-stage levels, according to articles in both Wisconsin and Minnesota newspapers. Higher, fast moving water has caused some locks to close and can lead to more hazards for boaters.